Published December 26, 2016 at 600 × 450 in Massachusetts in the Industrial Revolution. 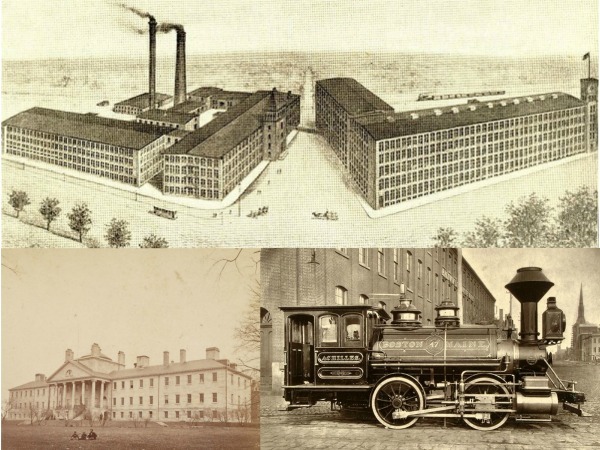 Massachusetts in the Industrial Revolution. Top: Berkshire Cotton Manufacturing Company circa 1898. Bottom Left: Massachusetts General Hospital circa 1860s. Bottom Right: Boston & Maine Locomotive circa 1871.